Alice Nine's monthly show, Alice9Channel (Alice9ちゃんねる), has streamed live on the Niconico Douga (ニコニコ動画) website every month since the first episode was shot September 29th 2009. 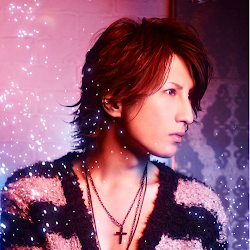 Tora is almost always the host of each episode, and has two (or sometimes more) of the band members as his guests. Each episode of Alice9Channel is usually comedy gold and utterly gif-able, and they tend to produce many inside jokes in the fandom. That is our professional opinion, here at alice_nine. Note: Any downloads that are in parts (ex: .001, .002, .003) must be joined with a program like HJ-Split. For recorded episodes from 2010 onwards, please see azshannar's archive page. For translations of episodes from 2010 onwards, please see jaeho_x3's index page (at the bottom). SUMMARY: This was the very first episode of Alice9Channel so everyone was a bit awkward (some more than others), and probably nervous. 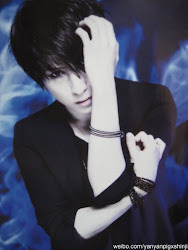 The members participated in several weird tasks, including having a fake conversation with Tora--so that afterward the viewers could vote on how natural it sounded. We're pretty sure Nao was probably drunk the whole time. GUESTS: All five members participated. UPLOADER: Originally uploaded by tokito, here. SUMMARY: In this episode, they discussed their experience at V-rock Fest, played a digest of what viewers could expect to see on the upcoming UNTITLED VANDAL(ism)#Finale Graced the Beautiful Day DVD, and were then given questions to answer by the Niconico staff (the answers to which they wrote on whiteboards). SUMMARY: They chatted for quite a while about this and that, read a letter or two from the viewers, and then got down to business: once again, the Niconico staff put up questions for them to take turns answering using whiteboards. SUMMARY: They made use of the whiteboards again in this episode, and talk was focused on tours (though there was a lot of general chatting too). One of the highlights of the episode was Nao's severely off-key singing. If you notice any broken links or think of anything to add to this page, leave a comment!